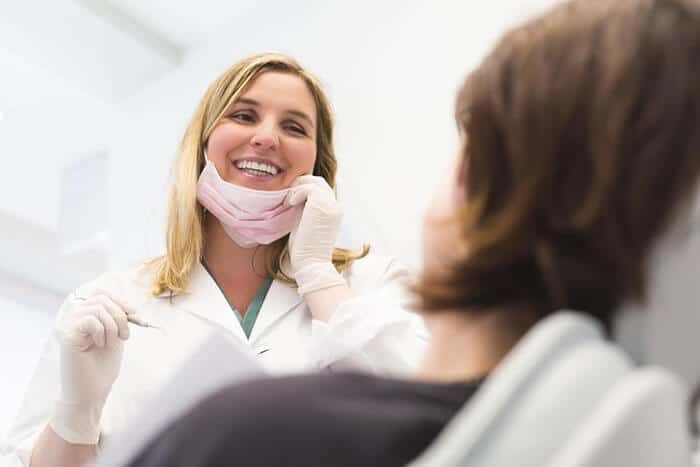 Holistic dentistry, an alternative approach to dentistry, believes that there is a connection between your oral health and your overall health. This approach focuses on the overall health and wellness of a person and not just on the treatment of the oral disease. It makes the use of nontoxic, restorative materials to eradicate oral infections and improve the overall health of the person. The basic principles of holistic dentistry are as follows. Preventing and curing degenerative dental disease with proper nutrition. Eliminating the use of potentially irritating and toxic materials in dental treatments. 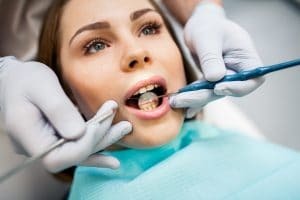 Preventing and treating bite and TMJ. Preventing gum disease at its biological source. The theory to apply a biological concept to the practice of dentistry started in the late 1800s. The need for this aroused with the growing popularity of the use of mercury-amalgam filling. The National Dental Association discovered the dangerous effects of mercury-amalgam fillings on the human body. Hence, it instructed all its members to cease the use of this material on the patients. Since 1997, this warning has reached many countries that either banned the use of mercury in fillings or were in the process to do so. Maintaining your oral health is important for your overall health! A lot of your health problems are related to your oral health. For example, an oral cavity can be the beginning point for microbial infections to enter your bloodstream. Also, an oral health issue can be a risk, indicating or exacerbating the effects of diseases like diabetes and heart trouble. Periodontal disease can create problems in controlling the blood sugar. It is also observed that the incidence of premature and low birth weight babies is associated with gum disease. Anyone suffering from respiratory infections may face greater difficulty while breathing if their oral health is compromised. Poor oral health can lead to depression and other mental health conditions. It can contribute to low self-esteem and affect social interaction and intimacy as well. The basic education and training received by all dentists are the same. However, some dentists opt for additional educational courses and training to become a holistic dentist. Hence, we can say that holistic dentistry practices are similar to traditional dental practices, but they have some added principals. The main difference between holistic and traditional dentistry is the approach used by the dentists in treating their patients. A traditional dentist treats symptoms in teeth and gums whenever a problem occurs. Whereas a holistic dentist treats the underlying problem that may cause oral disease. They also aim at eliminating your oral issues without causing any adverse effect on your overall health. Also, a holistic dentist prevents the use of materials that may be harmful to the human body. For example, as silver mercury is considered to lead to mouth, gum and other problems, most holistic dentists prevent using amalgam fillings. They also avoid the use of fluoride in topical and ingested form. They believe that what goes into your mouth affects your entire body and hence they keep a check on the biocompatibility of the materials being used for the treatment. They opt for safer options to ensure the overall well-being of the patient. Moreover, a holistic dentist is likely to suggest natural alternatives and herbal remedies to in-office anti-cavity treatments ensure the comfort of the patient. You can expect a holistic dentist to spend time on educating you on the link between your oral hygiene habits and overall health. Most people believe that the only difference between holistic dentistry and natural dentistry is the use of mercury fillings. However, it is important to know that there are many more issues that divide traditional and holistic dental practices. Traditional dentists usually suggest a root canal therapy in case of severely decayed tooth or teeth. They believe that it is one of the best and safest way to keep the natural tooth. However, holistic dentists emphasise on the research that states root canal can only be effective if the canal is 100% sterilised and bacteria free, and completely cleaning the canal is impossible. The use of fluoride is very common by traditional dentists. They use it in both topical and ingested forms. They believe in the research that states there is a reduction in cavity rates in areas where the water is fluoridated. On the other hand, holistic dentists refrain from using fluoride in any form. They emphasise how research has linked ingested fluoride to cancer and other bone problems. Traditional dentists don’t give much importance to the biocompatibility of dental materials. They may not test the material to see how it reacts with your body. Also, most traditional dentists do not give you the freedom to choose the materials for your cavity. Holistic dentists believe that anything that goes into your mouth affects your entire body and hence they make use of on-site equipment to test the biocompatibility of the materials being used for you. A holistic dentist gives you the liberty to choose from a variety of different composite filling materials and different materials for other procedures. As mentioned earlier, holistic dentists are against using amalgam fillings. If your dentist prevents using mercury or its vapour in any treatment, he or she is definitely following holistic dentistry. Holistic dentists are extra careful when it comes to drilling tasks. If you have a cavity that needs to be filled urgently, your holistic dentist will try to keep the majority of your natural tooth intact. If there is a need of dental filling, he or she may opt for non-toxic material. As dental crowns take away a huge chunk of your natural tooth, your holistic dentist will not suggest this treatment until it is the final resort. If your dentist is avoiding the use of fluoride, he or she is definitely following the holistic dentistry approach. The fact that fluoride brings down the IQ level of a child prevents holistic dentists to make use of it in any treatment. Fluoride can also weaken the bones and increase the chances of fractures. If your dentist is following the holistic approach to treat you, he or she may insist on examining the compatibility of the fill material with your body. Any dentist who skips this procedure is definitely not a holistic dentist. A wisdom tooth can lead to problems like pain and infection, and hence most traditional dentists recommend its extraction. However, if you dentist specialises in holistic dentistry, he or she may not suggest the removal of the wisdom tooth until it is contributing to any serious health issue. Also, the extraction will be done keeping in mind your overall health. Your holistic dentist will not suggest an x-ray until it’s absolutely unavoidable. He or she would not recommend an x-ray for any child under the age of 13 years. Holistic dentists believe that the less that your teeth are exposed to the x-ray radiation the better your dental health will be. If the need be, your holistic dentist will suggest a digital x-ray that is known to have less radiation compared to traditional x-ray machines. A holistic dentist never recommends sealants. Sealant materials are known to contain Bisphenol A that has the ability to disturb the hormones. Hence sealants are not considered to be a good option for both adults and children. Also, it’s important to know that having BPA sealants is just not possible. So, if your dentist claims to use BPA sealants, you know it’s time to go to another reliable holistic dentist. Seeking treatment from a holistic dentist may not just be beneficial to your teeth and gums, but to your overall health too. Traditional dentistry can solve your oral health problems, but there are some chances of the treatment affecting your health either immediately or later in the future. A reliable holistic dentist will take your overall health into consideration before treating your teeth or gums, so you can be sure you are in safe hands. Looking for holistic dentistry in Melbourne? Call us today on (03) 9923 7633 to book an appointment.